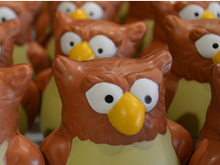 National FFA Convention is sure to be a hoot at the Teach Ag Booth this year! Visit us (booth # 2101) to sign up for the campaign, connect with a Teach Ag Ambassador and future agriculture teacher, and get your very own Teach Ag Owl. Bring your own students to the booth to help us develop a cohort of current and future agriculture teachers who are Tagged to Teach Ag! Attend workshops in our Interactive Teacher Classrooms, network and recharge in our Teachers' Internet Lounge, and take in exhibits with new products and services for your program. Besides earning professional development credit, each workshop you attend enters you for a chance to win a Fitbit or Roku, and you can sign up to win a $250 Visa Gift Card in the Teachers' Internet Lounge (sponsored by Deacero). Below are some examples of the workshops we’ll have at Teachers’ World this year. For a complete workshop schedule, follow this link. Classwork has gone to the dogs! Come learn about CKC's exciting and fun Canine Care and Training Program. This program prepares students for a career with dogs. 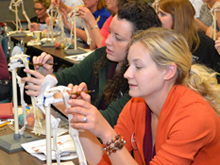 The program can be taught as a stand-alone curriculum, or as a supplement to your Small Animal/Pre-vet courses. Come discover pH is where it is at when it comes to flower color. A great hands-on activity that quickly demonstrates this awesome color change! Your students will love getting to the down and dirty of soil pH. Stop by booth #1105 to find out what opportunities we have for our members and write a note of encouragement to a current or future ag teacher. 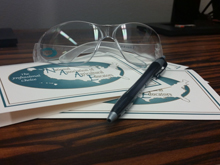 While you're there, get the latest on NAAE convention and pick up your free pair of safety glasses. 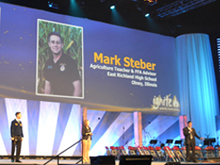 Join us at noon on Friday for General Session 5, to hear from three very special agricultural educators as they share their stories and inspire students to pursue careers as agriculture teachers. Get ready for NAAE Convention Novmeber 18-22 in Nashville, TN! This year you can expect great professional development sessions, award winner recognition, and, since NAAE and ACTE are together under one roof, even more opportunities to interact with other agricultural education and CTE professionals. Early Bird Registration ends October 17th. Click here to register. The schedule of Professional Learning Sessions is now available!Follow this link to download the list. Follow this link for information regarding housing at the Gaylord Opryland Resort. The Gaylord Opryland Resort and Convention Center will be hostingChristmassy Dreamworks Experience during NAAE Convention.Check out this link to see what is going on in Nashville during your stay. Country music powerhouse group Restless Heart is bringing its rich, soaring harmonies to Gaylord Opryland’s A Country Christmas with the all-new A Season of Harmony Dinner Show. Click here for more information. My agricultural education journey began at Spokane Falls Community College, where I received my Associated of Arts Degree. I then went on to complete my Bachelors of Science degree from Washington State University (WSU) in Pullman, Washington. I am an agricultural educator by choice and not by chance. How many times have you heard this or read this during your career as a teacher? I am guessing a few to be sure, but I really believe in these words and honestly feel like I do have the best job in our entire school system. I teach at Cherokee High School in Cherokee, Alabama. I am currently in my fourteenth year of teaching agriculture. 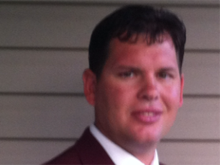 I teach agriculture exploration, fundamentals of agriscience, agricultural construction and welding. 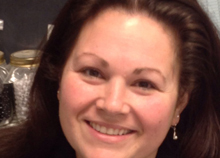 Tara Berescik, agriculture teacher at Tri-Valley Central School in Grahamsville New York, is enjoying a year full of accolades. 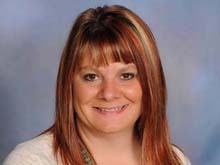 Not only was she selected as the NAAE Region VI Agriscience Teacher of the Year, but she was also named ACTE Teacher of the Year for 2014. Last week we celebrated the 5th annual National Teach Ag Day, in Minnesota, at the CHS, Inc. headquarters. It was a fun and energizing event. They say a picture is worth a 1000 words so here you go! The United States Congress continued to struggle to pass the necessary appropriations legislation needed to fund the federal government in Fiscal Year (FY) 2015 set to begin October 1st, 2014. 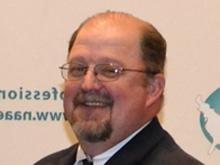 Over the course of his career, Kirby Barrick has served the agricultural education profession as a high school agriculture teacher, state agricultural education supervisor, and faculty at The Ohio State University. Welcome Syngenta as the sponsor of the Biotechnology Community on CoP! Not every student learns the same way. Taylor Brown, agricultural educator at East Jackson Comprehensive High School in Commerce, Ga., kept that in mind when developing her lesson plans, trying her best to meet the needs of each learner in her classroom. Enjoy free soil science lesson plans and subscribe the monthly newsletter from Nutrients for Life. Will You Be Attending NAAE Convention? NAAE Convention is just around the corner! Let us know if you are coming & what you are excited about! NAAE values collaborations of all types with supporters of agricultural education, so it provides organizations the opportunity to support NAAE members through organizational membership.